Glass Magazine has just released its most anticipated issue of the year: Top Glass Fabricators 2019. Vitrum Glass Group was honored to have one of our most recent project’s featured within this important industry publication. 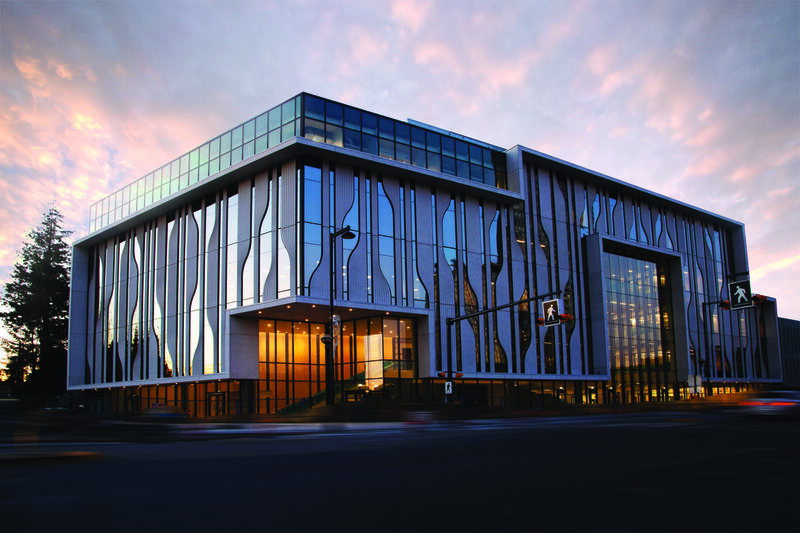 The new Sustainable Energy and Environmental Engineering Building at Simon Fraser University features an arresting exterior comprising energy-efficient precast concrete and reflective glazing, the latter supplied by Vitrum Glass Group, vitrum.ca. Designed to mimic electronic circuit boards, the facade posed a challenge to Vitrum’s team, as each individual glazing unit on the circuit board facade was different from the next. The project also required the team to fabricate a large amount of multi-bend spacer bars, which prompted the company to develop its own methodology to create precision multi-bend spacer bar templates and then work with many crafts people offline to ensure quality was maintained while also ensuring delivery could be met. Revery Architecture, reveryarchitecture.com, completed the design. The general contractor was Bird Construction, bird.ca, Glastech Glazing Contractors, glastech.ca, was the contract glazier. Glass was manufactured by Guardian Glass, guardianglass.com, and Vitro Architectural Glass, vitroglazings.com. Photo by Stephen Nyran. More photos of the Simon Fraser University, Sustainable Energy and Environmental Engineering Building will be posted shortly to our Project Portfolio section. We are waiting to gain access to the interior of the space as well as spring landscaping to take shape prior to conducting a full project shoot with our photographer, Stephen Nyran.